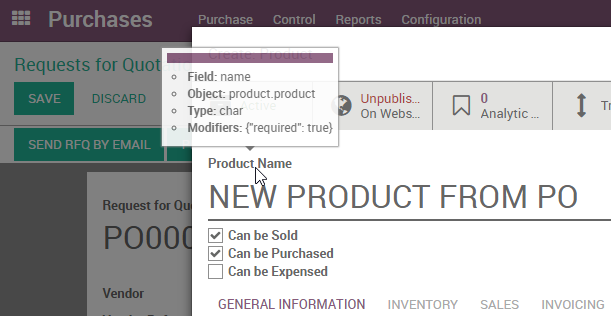 It's a bit tedious because you can't use the debug tools to inspect the sub-form when 'zooming' from a parent form - like the situation above, using Create and Edit from purchase order lines. 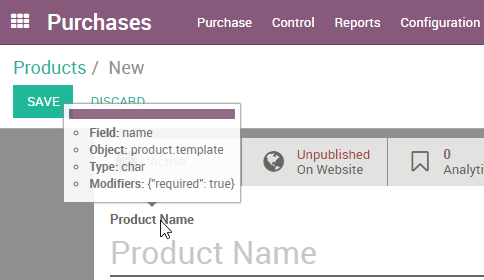 I've been looking through the system to try to find out what linkage tells odoo to enact which form when using create and edit - but can't find anything. Does it take the highest priority form for the model of the field you are working with? Yep, figured this one out but you beat me to it! Made my changes on product.product too, and all is well.